Q. Heading into the second week, how do you feel the level of your game is at? RAFAEL NADAL: Good. I think I played a correct match today. Happy 6-4, 6-3, 6-3 against a player who came to this tournament winning against tough opponents like Davydenko and Verdasco. To be able to win against him in straight sets is great news. I played better today than in the previous matches. Always a positive thing. Tomorrow I have another day for practice and to be better for the match of Monday. So that's all. Is important win for me. Every win means a lot. Happy the way that I am playing, and try to be ready for the next. Q. Did you watch any of the Del Potro Hewitt match yesterday evening? RAFAEL NADAL: I watched a lot, not all the time. I watched a lot of moments of the match. Was a good match. I was happy for Lleyton. He's a great fighter after, you know, long time with a lot of injuries, have the chance to be back. Still on the tour with motivation to keep playing, keep fighting is something that I admire a lot of him. Is great for a player like him for have a big victory like he had yesterday against a very tough opponent like great player is Juan Martin, night session of the US Open. So is great scenario to have this victory, so happy for him. Sorry for Del Potro. It was a good match to watch. My feeling for -- if you ask me for the match, my feeling is Hewitt played great, played amazing. For moments Del Potro to win that match should play a little bit more aggressive than what he did yesterday. Q. Nobody knows what will happen tomorrow, but when you're seeing Hewitt playing at his age, can you imagine yourself playing at his age here in the US Open, or do you think it's very improbable? RAFAEL NADAL: How old is Lleyton? RAFAEL NADAL: I don't know. I am playing with 27. That's the only thing important today. Nobody knows what's going to happen tomorrow. I feel very lucky for all the things that went well in my career. I have the chance to decide when and where. So for a moment, I don't think about that, because my motivation is keep playing for a long time. I don't know if three, four, five, six years. I don't know that. I go day by day. Important thing is be happy. I'm happy today. RAFAEL NADAL: I don't know. They already won the first three? Well, I wish them best of luck for the tournament. I think if they really make it is something very difficult and will be a very good thing. Q. What goes through your mind when you see them play, if you get the chance to see them play at all? RAFAEL NADAL: Well, I had the chance because I played against them few times (Laughter). That's true. Well, I think probably today the doubles is not like used to be probably 20 years ago. You know, there is a lot of people that dedicates only to doubles, and a lot of singles players plays very seriously on doubles, like McEnroe. Like a lot of great players, Kafelnikov. Today the situation is a little bit different and probably they are one of that small group of doubles players that they really work all day thinking about doubles, and they are good. They are brothers. They know each other very well. They have the right feeling to play well. Most important thing is at the end of the day they have the confidence on each other, and that's a lot on doubles. So probably they have the chance to be the best team of the history, because today they will have the chance to keep playing until very late. Q. Would it be a little bit of a relief if you didn't have to face Isner who is in a struggle right now? How would you feel if you did have to face him? 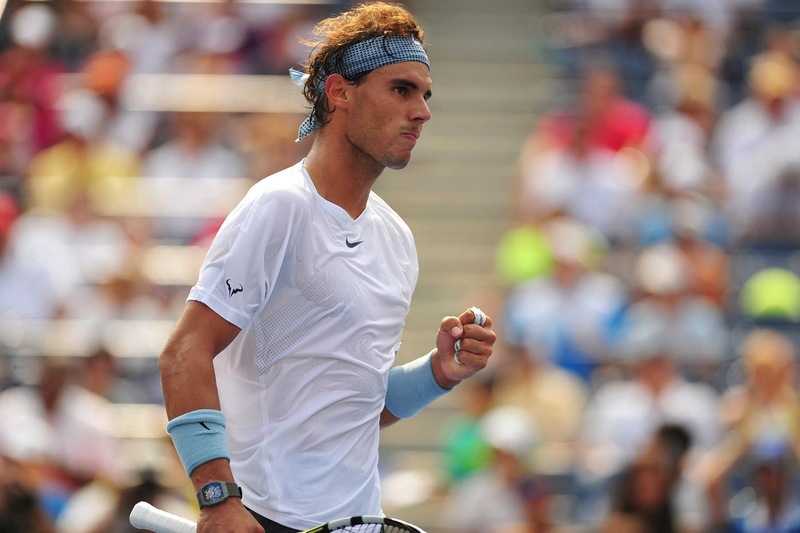 RAFAEL NADAL: I feel very happy to be in the round of 16. Be in fourth round is great news for me without losing a set. The match is not over. Will not be nice if I will say something about one or about the other. I hope to be ready with both of them. If it's Kohlschreiber, it's because Kohlschreiber deserve to be there and he was playing better than Isner. If Isner, is because he deserve to be there and he was playing better than Kohlschreiber. I will try my best against anyone, and I hope to be ready to fight for the match. Q. Slightly related to that, you're sort of four weeks into this hard court season. Happily it's going very well. Are you practicing any differently because of the issues that you have had obviously in the last 12 months to kind of preserve yourself and your body and stuff like that? RAFAEL NADAL: No, at the end it's always the same thing. When somebody is having success, we find reasons that's why he's having success. The things are really not normal, and having success today because I am playing well. That's all. I didn't change nothing on my life. I didn't change nothing on my practices. I tried to play mentally a little bit more aggressive. Seriously, I will repeat, because I said a lot of times: you can improve practicing when you practice. I didn't practice. I practiced for three weeks after my injury. I traveled to Vina del Mar. So then during the matches you try to do thing, you try to play for aggressive. You know you have to play more aggressive, because at the beginning you don't know how you're gonna feel. Playing more aggressive you're having success, so you keep going the same way. At the end, I arrived to Montreal. Montreal is a fast court. Cincinnati is another fast court. Hard, but at the same time are faster courts. I tried to play aggressive, and worked well. That's all. I try to keep going the same things that are working for me well the last couple of months. And nothing is special on the rest of the things. When you are playing well, you have the chance to play more aggressive. When you are playing bad and you are not feeling very well the ball, I am not that good to keep playing that aggressive. Nothing especially on my work, just trying to adjust small things to be better player, as I did all my career. Q. It's coming without the benefit of that many aces. Last time you came, you brought a big, big serve into Flushing Meadows. Can you talk again on how you're using that first serve to advantage? It's working. RAFAEL NADAL: Is working, but I am not serving at 130 miles every time. So it's working because I am playing well from the baseline. It's working because I am serving with the right percentage. It's working for the first three matches. We'll see if I am able to keep working. Q. Is it your accuracy or the way you're kind of changing the serve? RAFAEL NADAL: I didn't felt that I was serving great that first three days. That's the real thing. I served okay, not bad. First day I didn't serve very well. Second day and third day I was able to play a little bit better. In important moments I did a few good serves, but I am winning because I am playing well from the baseline and I am making the right decisions in the right moments. It's something I am going to work a little bit more tomorrow. I need to serve a little bit better, and I hope I gonna do good.